Kim Chiu plays the role of Mayen, Filipino Chinese who decided to sacrifice everything for her family. All she wanted is to have a better life for them and end up accepting an odd offer of “Ghost Marriage” from Madame Angie Lao. She didn’t know what’s beyond the offer until she already inside that agreement. 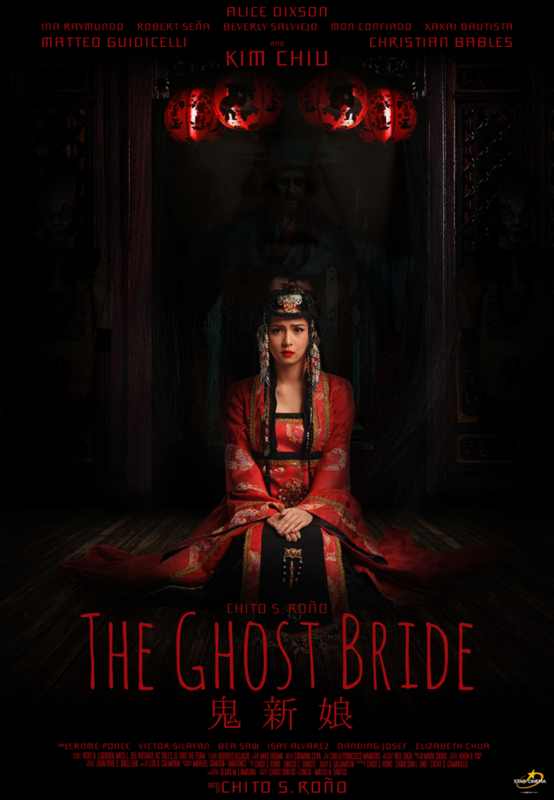 “The Ghost Bride” will be showing on November 1 in all cinemas nationwide under Star Cinema. Kim will be joined by Matteo Guidicelli, Rio Locsin, Robert Seña, Alice Dixson, Jerome Ponce, Enzo Pineda, Christian Bables, Kakai Bautista and Beverly Salviejo. Under the directio of Chito S. Roño.